With 25% of American kids being Latinos and with the editors looking for diverse books hopefully you will like my Nonfiction Mexican PB. 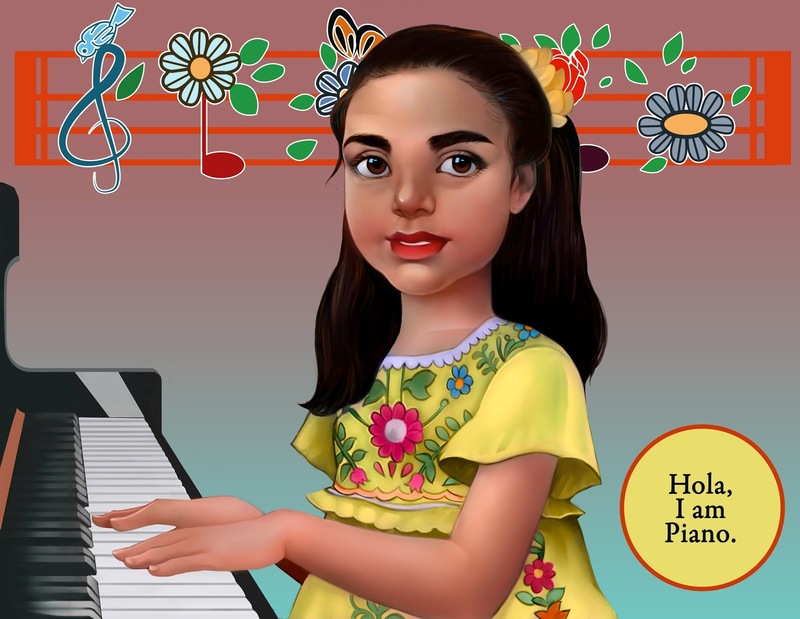 It tells the story of the most famous Mexican female composer from the 20th century. Her song “Besame Mucho” is the most recorded song ever worldwide, but very few people know that she is from Mexico and wrote the song at age 16. Her story as a girl and a teenager will inspire American girls that they can be composers as well.This picture book will bring pride and happiness to millions of American Latino kids and their parents that a Latina girl like themselves wrote one of the most famous songs worldwide.There is a sample illustration below. About hundred years ago I was born in central Mexico, the youngest of five girls. My name Consuelo means hope and like most names for children in Mexico I was given the nickname Consuelito, meaning little Consuelo. After a few years we moved to Guadalajara, the second largest city in Mexico, famous for its Mariachi music and the sombrero hat. Please add to the query that Rebecca requested you send the query to her.